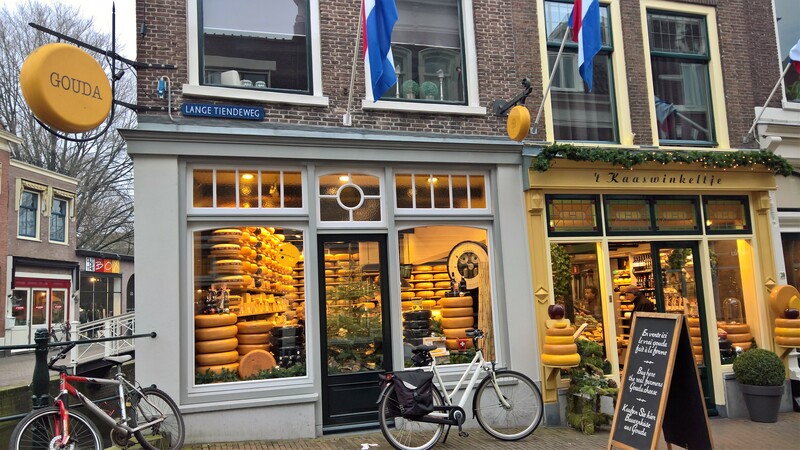 When shopping for our New Years party in Holland, we were in the town of Gouda and yes, we did purchase a couple of different flavors of Gouda cheese. This week, the Gothics got about 100cm (3.25 feet) of fresh snow, which mostly dropped the first days. I skied 47,673 feet of it in 5 days. Yes, they keep track of everyone’s vertical feet, partially so you can celebrate when you hit 1 million. 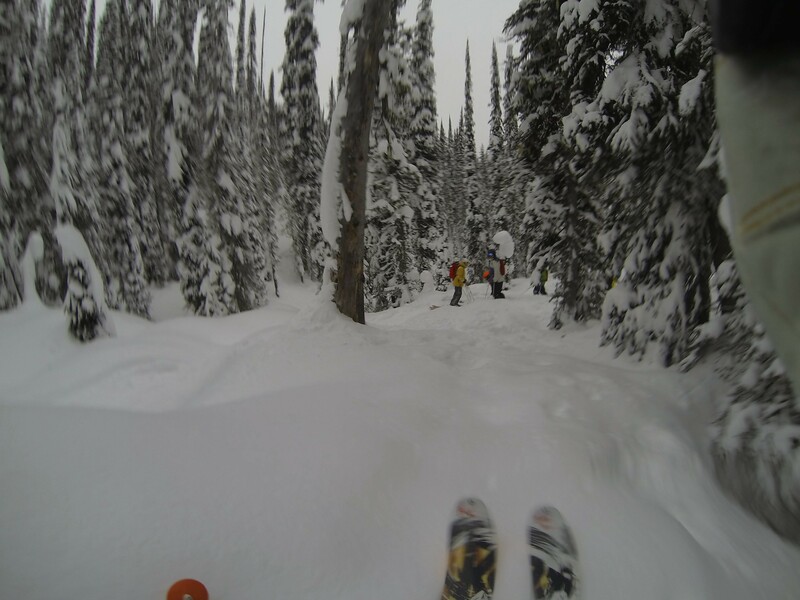 This is a photo of one of the guides at CMH Gothics, and it is from 2 days ago. We’ve had more snow since then. Today was day 4 and was still better than the previous days. It’s just unbelievable. With another 20inches of fresh snow, it was another great day. Although during lunch, which is flown up to all the skiers, it was snowing so hard that the guides thought we might have to quit for the day. The helicopter can’t fly in zero visibility, but it cleared up a bit and the run right after lunch was the best one yet. When you hop out of the helicopter and the snow is up to your stomach, you know it’s going to be a good run. Even the guides were happy and excited by the snow today. So were the guys in the “million vertical feet” club who have been coming here for years. 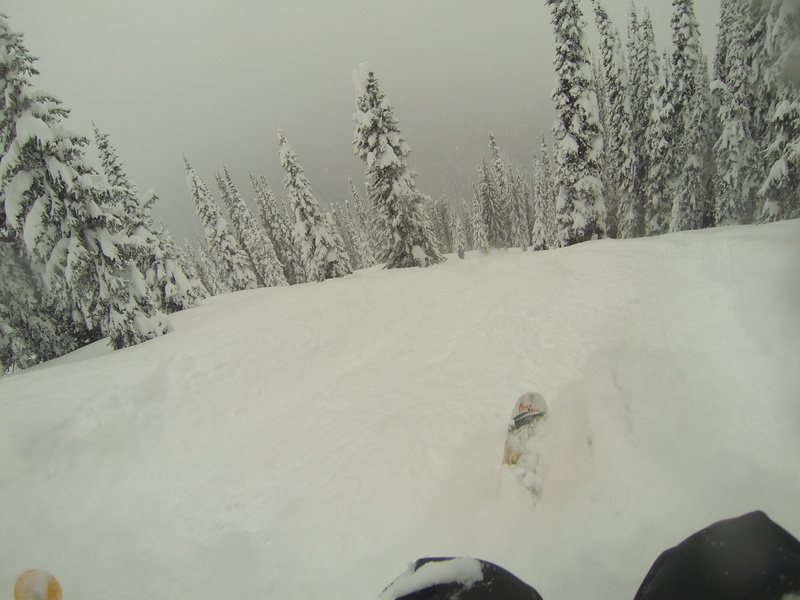 I was never able to stop and take video, but this is a photo of my knees and thankfully my fat skis are above the snow. 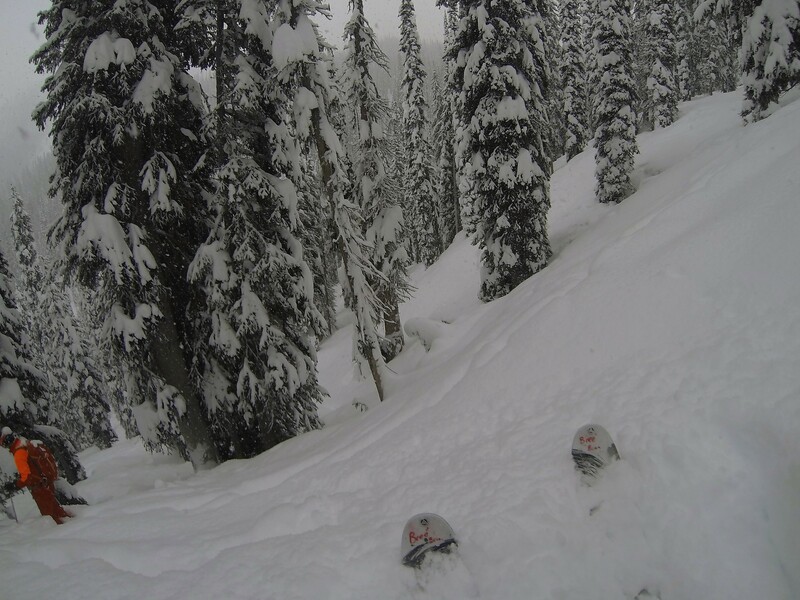 Even with super light powder, a few feet of it is heavy on top of a ski. I wish all my ski buddies could have experienced this with me (you know who you are) but thankfully my “tree ski buddies” were great at watching out for each other. …. I’m told tomorrow might be better. Phoebe, the dog at the Gothics lodge has been watching a ferret in the wood pile long enough to have snow build up on her. 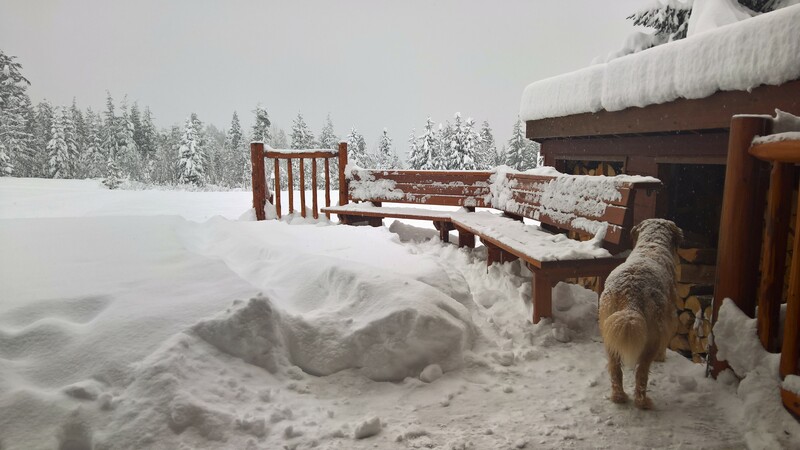 We now have about 18 inches of fresh snow, but are waiting as the guides and helicopter pilot find safe landing and skiing spots for the day. We had a great first day of helicopter skiing, even though I called it quit early because my toes we’re frozen. 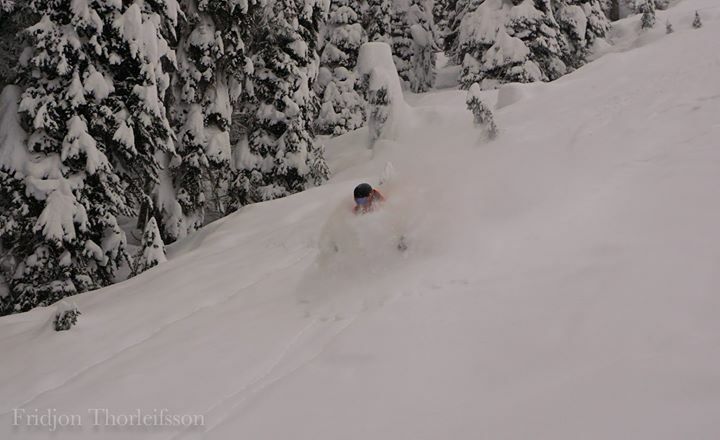 I think I had the best run of my life today in the powder with soft short drops to keep it interesting. That was only on run number two!